Hey guys! I love hosting this link party each week and I love featuring you guys. I want to feature every single one of you, but I can’t, so I pick my favorite top 12 posts each week. If you are hoping to get featured, here are a few tips that might help. Please make sure your photos are large enough (I prefer the longest side to be at least 400px). Small thumbnail size photos are too hard to see. Also, try to take pictures during the day with lots of lights on. Brighter pictures are easier to feature. And one more thing, if you are showing a crafty project, I prefer to feature projects that have a tutorial so all my readers can make one too. 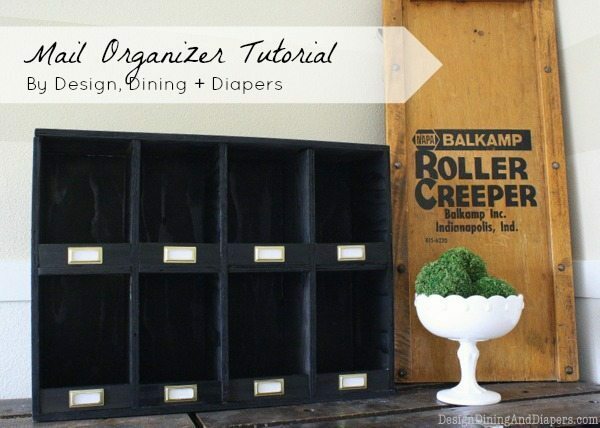 Design, Dining + Diapers made this adorable vintage inspired mail organizer and shares how you can easily make one too. This Crystal Snowflakes tutorial from Adventures of a DIY Mom looks like a fun easy project to do with kids. Check out this pretty room makeover from Home Happy Home. Made in a Day made a simple winter wispy wreath. I love the red contrast with the little birds. Here’s another fun project for kids. Make a jingle bell wreath to hang on your tree or a door knob using this tutorial from Love, Pomegranate House. The Gray House on the Left spray painted some basic glassware with gold spray paint for a chic look. Make your own felted wool dryer balls using Seasoned Homemaker‘s so simple tutorial. I’ve got to try this. 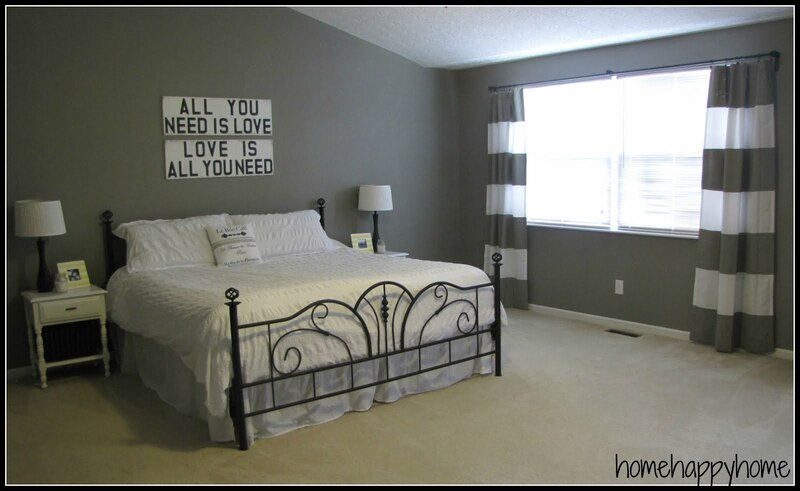 Interiors by Kenz painted a headboard and faux moulding on her walls for a more sophisticated master bedroom look. 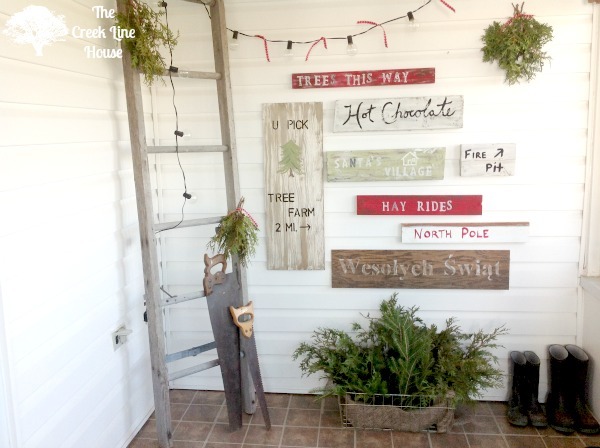 Check out these fun tree-farm inspired signs from The Creek Line House. I love them all grouped together. I Should Be Mopping The Floor took some time out from mopping to give her dining room a makeover. The after is stunning. Let’s not forget our Jewish friends this holiday season. Lizy B made some adorable Hanukkah cookies that are just too cute. And lets end on this delicious note. 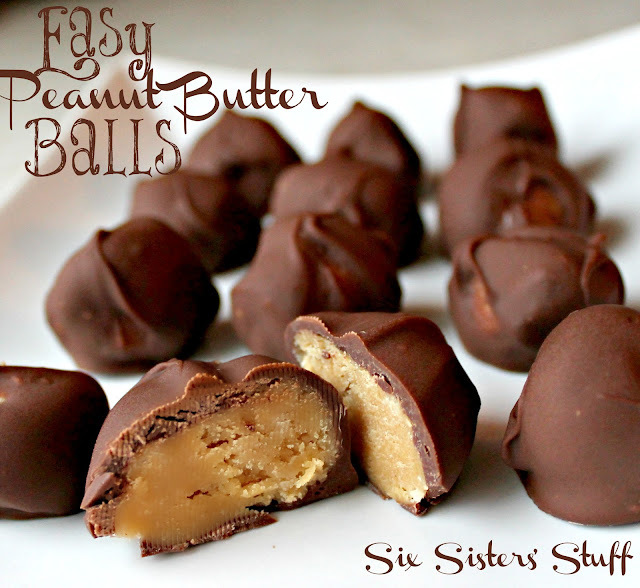 These peanut butter balls look so mouth-watering, and the recipe is ridiculously easy, I might actually try it. Get the recipe over at Six Sisters’ Stuff. 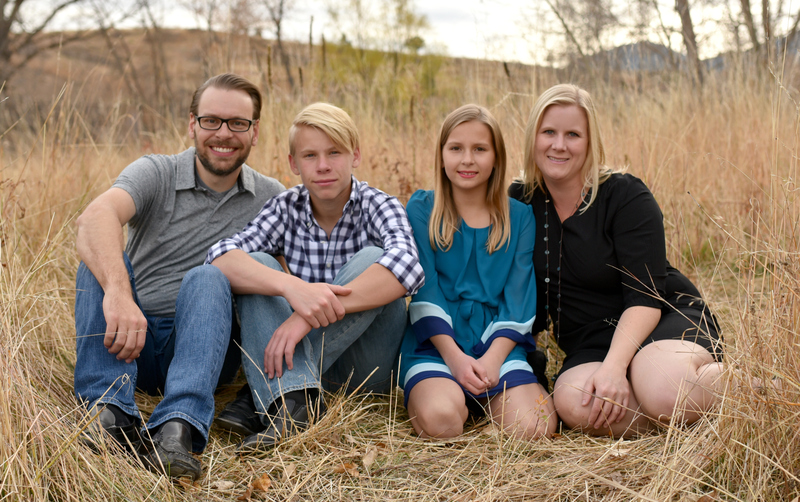 Hi Allison– Thanks so much for hosting! 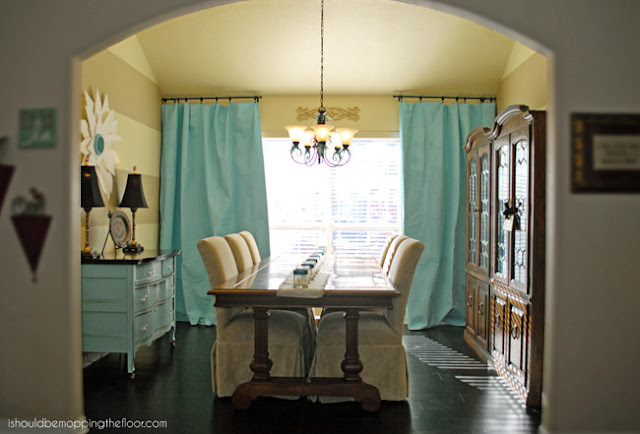 Was tickled to see my dining room featured…that was so sweet of you! I feel so honored to be among such wonderful features! Have a great weekend! Thank you SO much for featuring my crystal snowflakes! What a great day! Thanks so much for hosting! Have a holly, jolly week! I’m so glad you host this party every week! 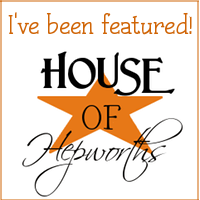 I love coming by and seeing what you’ve featured! The gold painted glassware is so chic looking this week! What a great idea! Thank you so much for your party, Allison! Some great projects! Thanks for the party! great features Allison! I’m going to have to try those dryer balls! mainly because they are so gorgeous looking!! Thanks so much for the feature! Thank you for hosting such a great party!! Thank you so much for the party Allison! Thanks for this inspiring link party! Thank you so much for featuring my wreath! I am glad you liked it! Peanut butter balls???? Holy yum! Thanks for the party! Haven’t linked up in a few weeks, but back at it today! Thanks for hosting each and every week.